Docking soon... The Tidewater and Tulle Journal. When we launched in December 2013, I wanted to give an online voice to Coastal Virginia -- a voice that said, "Hey! Yes, Charlottesville and northern Virginia weddings are amazing, but so are Coastal Virginia's!" Since I was a wedding photographer at the time, it was a huge passion stemming from a need to communicate with Hampton Roads and out-of-town couples what was available locally. As things evolved over the years, we have gotten quite a few repeated requests for the Tidewater and Tulle brand, but before we get into that, I wanted to share some important milestones. Great news! Nothing is changing with the website; we will still be publishing daily content to inspire you! Our first issue will be out this March 2018 (with consecutive issues releasing June, September, and January 2019). The digital version will cost $6.99 and print-on-demand will be $24.99. Keep an eye out on our social media and website for the official release announcement in February! 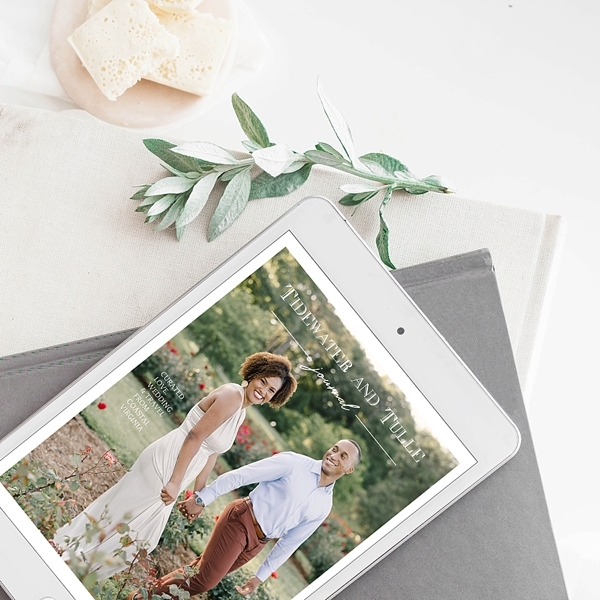 We are looking for the crème de la crème of Virginia and Outer Banks weddings, but with our same mission in mind: diversity in love, weddings, and travel. Simple or luxe, we want to see it all and show off the beauty that can be found in all shapes, colors, budgets, sizes, and everything in between. 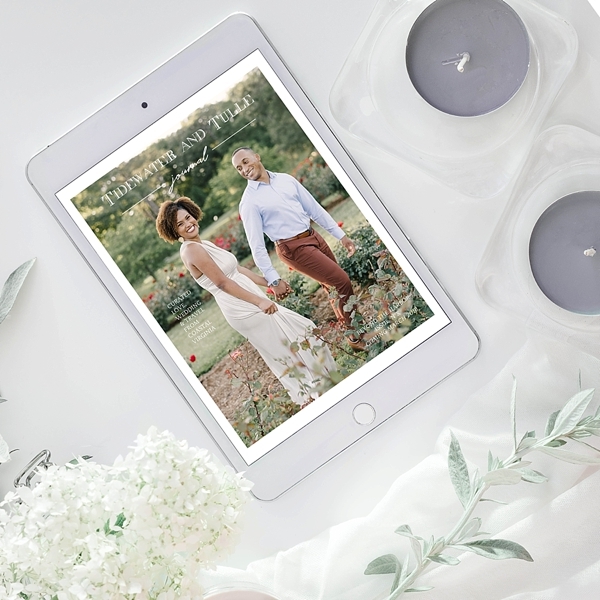 To give you an idea what we will be publishing, these two previous T&T features have the perfect aesthetic for what would go in the upcoming digital magazine: for a January issue, this elegant winter wedding and for a June issue, this vintage military wedding.